Safe and secure online giving of tithes and payments to Westminster is now available. You can make one-time contributions/payments, setup and manage recurring giving, and see your year-to-date giving. 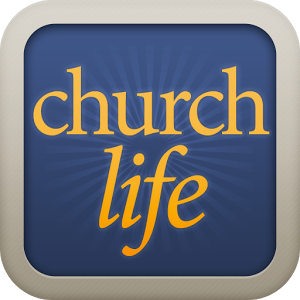 You can also give through text messaging and the smartphone app “Church Life”, which is available for iOS and Android. In addition to your regular tithe, you can make payments on Mother’s Morning Out fees and youth trip fees. Memorial gifts are also accepted. Other seasonal options, such as Wednesday night meals, Easter lilies, and Christmas poinsettias, will be made available and noted in the bulletin. If you are a Westminster member and have never given online before, click here. If you are a returning church member who wishes to give, manage your recurring giving, and/or view your giving history, click Login to my Account link above. If you are a guest or member and want to make a one-time (non-recurring) contribution, click the One Time or Quick Giving link above. After logging into your account on your computer to verify your email address and password are set up correctly, download the “Church Life” app from your phone’s app store. Once in the app, you can set up and send contributions. The church office. We will be available to work with you on any issues you have to make this a successful venture. Feel free to contact John Carter at wpclaurel2@gmail.com.